Richard is a real estate professional and entrepreneur born and raised in Los Angeles. He started his career in real estate as an investor, investing in acquisition and rehab deals, flipping single family homes and buying rental properties. He is looking to capitalize on his investing experience by helping his real estate clients achieve their goals. 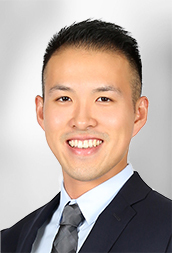 Richard enjoys traveling, and frequently visits China where he works closely with his sales channels to assist clients interested in purchasing US real estate. He is currently involved in several areas of real estate, including: development, international sales, and property management. Richard’s multi-faceted experience in real estate allows him to thoroughly gauge opportunities and pass on meaningful insight to his clients. Aside from real estate, Richard is passionate about business development. His background in digital marketing allows him to provide tremendous value to small businesses looking to scale online.